Масада // Еврейская энциклопедия Брокгауза и Ефрона. — СПб., 1908—1913. Микловиц, Глория. Масада: последняя твердыня. М., Текст, 2010. Yadin, Yigael. 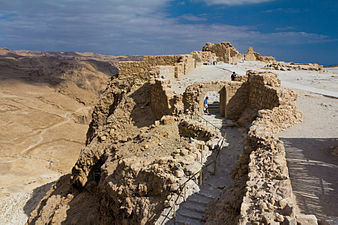 Masada: Herod’s Fortress and the Zealots' Last Stand. London, 1966. Yadin, Yigael. Israel Exploration Journal 15, 1965 (excavation report Masada). Netzer, Ehud. 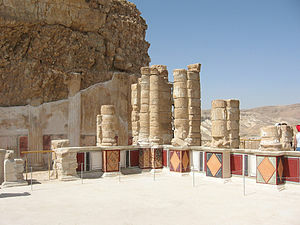 The Palaces of the Hasmoneans and Herod the Great. Jerusalem: Yed Ben-Zvi Press and The Israel Exploration Society, 2001. Netzer, E., Masada; The Yigael Yadin Excavations 1963–1965. Vol III. IES Jerusalem, 1991. Ben-Yehuda, Nachman. The Masada Myth: Collective Memory and Mythmaking In Israel, University of Wisconsin Press (December 8, 1995). Ben-Yehuda, Nachman. 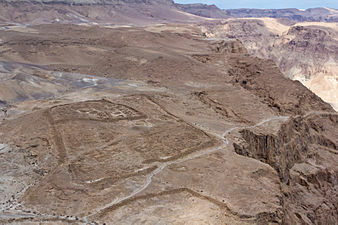 Sacrificing Truth: Archaeology and the Myth of Masada, Humanity Books, 2002. Bar-Nathan, R., Masada; The Yigael Yadin Excavations 1963–1965, Vol VII. IES Jerusalem, 2006. 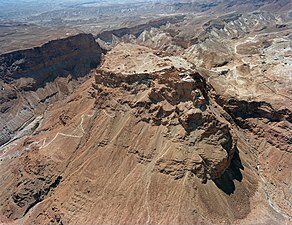 Jacobson, David, "The Northern Palace at Masada – Herod's Ship of the Desert?" Palestine Exploration Quarterly, 138,2 (2006), 99–117. Roller, Duane W. The Building Program of Herod the Great, Berkeley and Los Angeles: University of California Press, 1998. ↑ pronunciation (օգնություն • ինֆո); the term simply means "fortress" in Modern Hebrew; in Biblical Hebrew מְצָד mĕtsad "mountain-fortress; stronghold" from a root meaning "to hunt, lie in wait for prey". Gesenius, Hebrew-English Lexicon (H4679). Stiebel, Guy D. 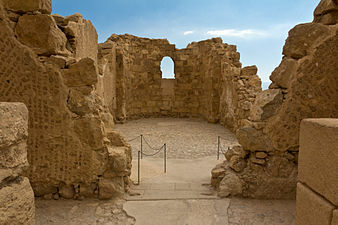 "Masada." Encyclopaedia Judaica. Ed. Michael Berenbaum and Fred Skolnik. 2nd ed. Vol. 13. Detroit: Macmillan Reference USA, 2007. 593–599. Gale Virtual Reference Library.